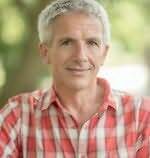 Patrick Gale is a British author who lives in Cornwall. His father was the prison governor of Camp Hill Prison on the Isle of Wight when Gale was born, and he was brought up in and around prisons. Gale was educated at The Pilgrims' School, the choir college for both Winchester Cathedral and Winchester College, then at Winchester College and at New College, Oxford. Following university he had a range of jobs while he sang for the London Philharmonic Choir and wrote his first novel, The Aerodynamics of Pork while working as a waiter in an all-night restaurant. "I can't remember reading a novel in such a compulsive, leave-me-in-peace way since Tales from the City. More please!" "Made me smile and feel that life had just become several degrees more enchanting." "Startling. A compassionate and clear-eyed debut which illuminates a grim chamber of 20th century history." "See What I Have Done held me in its sweaty grasp to the very last pages... as deftly destabilising as the best of Margaret Atwood." "Tin Man is Winman's best novel yet. The playful subversiveness still bubbles away but there's a new candour there, an acceptance of needs and flaws that proves deeply touching. This is storytelling as cruelly kind as fate itself." "I will be cursing Last Ones Left Alive for seriously troubling dreams for weeks to come."